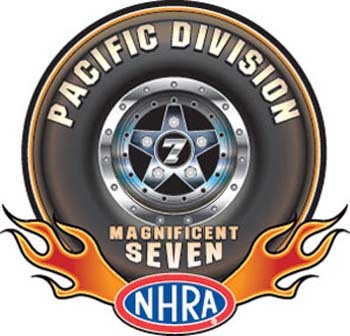 Joey Severance, Doug Gordon, and Anthony Bertozzi celebrated with their teams in winner's circle this past weekend following the conclusion of the Lucas Oil Drag Racing Series Pacific division event at The Strip at Las Vegas Motor Speedway. In the Top Alcohol Dragster final round, Kim Parker, Graham, Wash., grabbed the starting line advantage, but quickly had traction issues. Severance, Woodburn, Ore., powered through, surpassing Parker for the victory running 5.224 seconds, 276.07 mph. Parker came in second at 5.721 seconds, 260.36 mph. Severance continues the defence of his 2017 Lucas Oil World Championship. 2017 Lucas Oil Top Alcohol Funny Car World Champion Shane Westerfield, Anaheim, Calif., squared off against fellow Californian and TAFC standout Doug Gordon of Paso Robles. Westerfield gained the slight edge at the starting line but had mechanical issues, Gordon blew past him for the final round win; hitting his full stride at 5.462 seconds, 270.48 mph. Mike Cotten, Cave Creek, Ariz., captured the Stock Divisional Wally trophy and was shooting for the double up in Super Stock. Anthony Bertozzi, Ashland, Va., had other plans though. Bertozzi attained the starting line advantage and forced Cotton to break out, Bertozzi registered a victory pass of 9.194 seconds, 133.51 mph. Doug Crumlich, Irvine, Calif., took the easy win in the Top Sportsman final round running 7.040 seconds, 196.73 mph. His opponent, Daryl Hemley, Burley, Wash., fouled at the line, triggering the redlight. In the Top Dragster final round, Dan Lafferty, Wendell, Idaho, nailed the tree with a perfect light to take the hole shot win running 6.527 seconds, 205.10 mph. The other drivers visiting the winner's circle were Val Torres in Super Comp, Trevor Larson in Super Gas, Ryan Mangus in Super Street, Ron Alves in Sportsman Motorcycle, and Terry White in Top Comp. Severance, 5.224, 276.07 def. Parker, 5.721, 260.36. Gordon, 5.462, 270.48 def. Westerfield, 7.642, 133.51. Kevin Carter, Peoria, Ariz., dragster, A/ND, 7.004, 185.56 def. Tony Mandella, Eastvale, Calif., '92 Camaro, A/SMA, 8.182, 164.71. Anthony Bertozzi, Ashland, Va., '98 Grand Am, SS/AS, 9.194, 133.51 def. Mike Cotten, Cave Creek, Ariz., '70 Barracuda, SS/IA, 10.011, 129.14. Mike Cotten, Cave Creek, Ariz., '73 Duster, G/SA, 11.533, 108.82 def. Robert Pond, Sedona, Ariz., '64 Fairlane, AA/SA, 10.160, 125.55. Val Torres, Valinda, Calif., dragster, 9.131, 154.07 def. Steve Johnson, Las Vegas, Nev., dragster, 9.031, 164.29. Trevor Larson, Starbuck, Minn., '08 Corvette, 10.044, 166.27 def. Rich Givins, Phillipsville, Calif., '62 Falcon, 10.021, 153.63. Ryan Mangus, Rialto, Calif., '10 Cobalt, 11.049, 156.84 def. Mel Leforbes, Riverside, Calif., '71 Nova, 11.024, 140.62. Ron Alves, Colusa, Calif., '80 Kawasaki, 8.149, 165.11 def. Anthony Jay Vanetti, Elk Grove, Calif., '00 GS, 8.247, 150.83. Doug Crumlich, Irvine, Calif., '63 Corvette, 7.040, 196.73 def. Daryl Hemley, Burley, Wash., '02 Cavalier, foul. Dan Lafferty, Wendell, Idaho, dragster, 6.527, 205.10 def. Jeff Taylor, Apache Junction, Ariz., dragster, 6.704, 205.35.